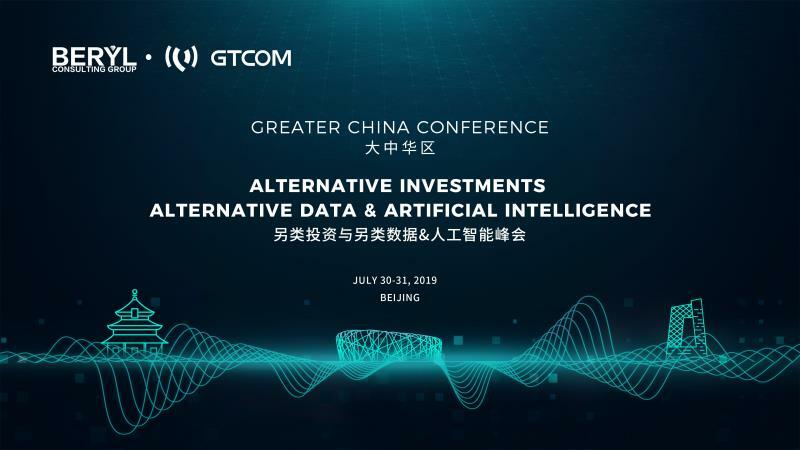 The Beryl Consulting Group and GTCOM are organizing their inaugural Greater China Alternative Investments and Alternative Data Conference in Beijing on July 30th and 31st. 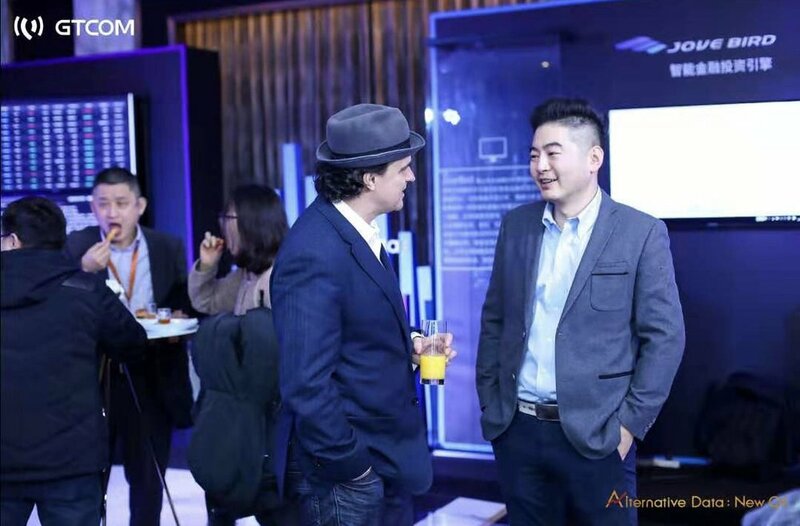 It is the first-ever conference to be held in mainland China showcasing the Alternative Data industry. The conference will feature emerging technologies and alternative data as a critical competitive edge for fund managers and investors in today’s intertwined and highly competitive global environment. This year’s Beijing conference will have 250+ participants and 50+ exemplary speaker. At last year’s Beryl Elites conference in New York City, we hosted 90+ allocators, 50+ managers, representing over $850 billion in investable assets. Who should attend? Government officials, policy makers, major asset allocators, fund of funds (RMB/USD), family offices, top hedge funds, private equity, venture capital, fintech start-ups, chief investment officers, chief executive officers, heads of asset classes, municipal pensions, and sovereign wealth funds, and visionaries from around the world. The sheer size and scale of the Chinese market provides tremendous upside for alternative investments. As the second largest economy in the world with 20% of the world’s population, China’s alternative funds industry has consistently grown in size and increased in sophistication. Morgan Stanley forecasts that there will be $7 trillion worth of assets being managed in China by 2023, almost doubling from current levels. In late February, MSCI announced that it will quadruple the weighting of Chinese mainland shares in its global benchmarks later this year. This move is expected to draw in tens of billions of foreign institutional inflows to China’s stock market which is heavily dominated by domestic retail accounts. Currently, institutional investors account for 15% of the market, and foreign institutions only 3% of the market . Furthermore, China’s A-shares indices has much lower correlations to developed markets equities cross indices, adding another attractive element to future foreign investors’ participation. China is also home to the largest venture capital market in the world. China has the most active and robust digital ecosystem in the world, making it a fertile ground to exploit big data. China has now 200-300 million strong middle class and nearly 800 million mobile internet users. China’s rapid adoption of mobile payments systems and the advancement of information technology combined with its sheer market size, contribute to China’s leading position in big data, digital infrastructure, and e-commerce. This in turn empowers artificial intelligence and machine learning techniques, enabling advanced statistical analysis and highly defined predictive models. According to CB Insights, Chinese firms garnered 48% of global AI funding in 2017, compared to 38% that U.S. firms received that year. Our Beijing conference will enable the participants to gain new insights about rapidly evolving Chinese capital markets, explore actionable investment opportunities, showcase innovative products, and establish highly valuable business relationships. Alternative data is a subset of big data. It refers to all data not generated from traditional data sources like company financial statements or economic statistics. Alternative data include mobile phone activity, transactional data from credit or debit cards, GPS tracking, satellite imagery, social media, and many other activities. In today’s highly competitive investments markets, investment managers are increasingly turning to advanced analytics and alternative data to better assess the future performance of publicly traded securities and deliver superior returns to their investors. More specifically, quant managers typically utilize alternative data with long history, allowing them to back-test the data. Fundamentally inclined managers prefer to utilize data to confirm a trend or a new research theme at a given point of time. Our Beijing conference will present this new and dynamic alternative data ecosystem, adding an essential edge to your investment management process. Why Participate IN THE CONFERENCE? In order to generate high investment returns, you must surround yourself with leading managers and investors, understand their outlook on the market, and hear about the latest investment tools and trends from cutting-edge data scientists. Beryl Elites GTCOM provide this vast intellectual ecosystem of think tanks to help you stay on top of your game. Whether you are a fundamental manager looking to expand horizons and enter into the new world of alternative data, AI/ML or a quanta-mental / quant manager seeking to strengthen domain knowledge, source new investment ideas and generate actionable signals, our conference will add substantial value to your cap-intro event calendar. Beryl Elites GTCOM conferences provide you with a platform to showcase your products and service as a thought leader. The best way to market your products or services is to share your knowledge and insights with a highly curated audience of managers, investors, and allocators. Selling products or services is just a natural outcome. Seeking potential investors? Looking to learn more from our experts? 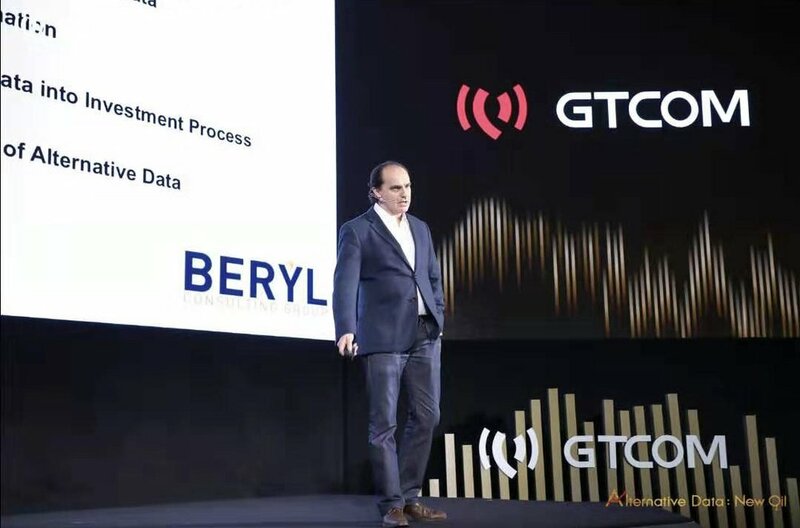 Beryl Elites GTCOM conferences provide the most efficient and successful environment to establish relationships with potential investors. Our conference will assist you in creating a road-map for your next venture with advice and direction from world renowned experts. Emerging technology is a critical competitive edge for both managers and investors and our conferences help our participants form valuable business relationships and develop winning strategies. Our goal is to inform and empower the investment community with cutting-edge technology products, strategies, and tools. Having a blueprint to implementation, a plan to scale-up and the right talent in place is critical to ensuring results and anticipated ROI. Our conferences are unique. They bring together the world of investment management, emerging technology, and alternative data, all in the spirit of innovation. PREPARE FOR INNOVATIONS 2019 will help you create a road-map for your next venture and provide you with an opportunity for questions and discussions with our panels of global experts. East meets West: current investment trends in alternative asset allocation and macro-economic forecasts. Is the decade old Bull Market in the West finally coming to an end? Alternative Data, Machine Learning and Artificial Intelligence: their deployment to improve portfolio allocation, optimization, risk management. The latest trends in hedge funds and private equity. Chinese Investor Evolution: What are the global portfolio allocations needs and appetite and how to implement asset classes. China's push forward the Reform and opening up of China's Capital Market : experts discuss how to further improve the trading mechanism and make the financial sector better serve the real economy. New developments effecting the Chinese pension system and insurance industry. Using Artificial Intelligence in Investment Management: providing better investment outcomes to clients through the use of artificial intelligence and machine learning. Perspectives from Global Exchange Leaders, Allocators, and Managers: integrating the A Shares market into the global equities investing. Discussing fundamental shifts in economic growth, inflation, rates, international trade, and geopolitics. Finding Alpha in Alternative Data: How fund managers turn data and information graphs into informational edge. Allocators perspectives on new datasets and alpha opportunities. Various Flavors of Alternative Data and their Unique Features: geospatial data, credit card sales, sentiment analysis, social media feeds. Greater China Inroads to Big Data: how Chinese technology firms are leading the innovations in artificial intelligence and big data. The Digital Revolution and Disruption: using data, artificial intelligence & machine learning to supercharge customer experience and intelligence. Manager Search and Due Diligence, Mainland China versus the U.S.: manager selection process, what are similarities, differences and challenges. The New Frontier on Wall Street: converting unstructured data into structured signals. Challenges in machine learning and artificial intelligence. Better Data Engineering: how data scientists assess data procurement processes, how to reach the best insights the fastest. Alternative Data and Challenges to Managers: selecting the data from vendors, pricing, cleaning, incorporating data into processes. Global Tone Communication Technology Co., Ltd. (GTCOM) is a world-leading big data and artificial intelligence company. It provides global corporate users with comprehensive cutting-edge scenario-based solutions powered by big data and artificial intelligence. As one of the earliest companies that engaged in the research of Alternative Data in China, GTCOM has used NLP sentiment algorithms based on leading big data algorithms and financial data analysis capabilities to quantitatively calculate multidimensional reference factors such as policy factors, sentiment factors, risk factors and growth factors. GTCOM has become the significant solution provider for Alternative Data. In keeping with our tradition we selected an artsy venue for our Beijing conference. Similar to our New York City venues where we hold our annual Beryl Elites Alternative Investment conferences, East Side Story is not a hotel. The typical conference distractions (concierge, bell hops, that always-present plethora of tourists) will not interfere with the focus, or the fun. The acoustics are superb, with no second guessing as to what was just said from either panel members or those with comments and questions. What is unique about East Side Story is that it is one of the jewels of Beijing’s 798 Art District. Characterized by modern art, 798 Art District has become the exhibition center of Chinese culture and art. It is named after the 798 factory which was built in 1950s. Nowadays, it frequently holds important international art exhibitions and art activities as well as fashion shows. Many worldwide political figures, movie stars, and social celebrities have not been able to resist the art zone's attraction and have come to pay a visit. We are proud to be hosting you at this historic venue. You may click here to learn more about 798 Art District. Our conferences include evening live entertainment. Upon completion of panel discussions on July 30th, we will provide exquisite entertainment for attendees to enjoy a variety of shows. We strongly believe that an inspirational and stimulating environment enhances the networking experience among conference participants.